We found this super amazing stall near Fun Republic in Andheri West that sherves about 67 varieties of dosas. 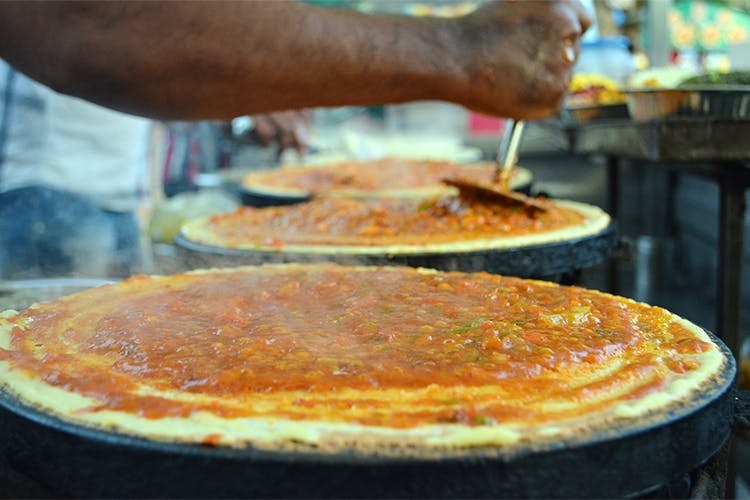 Shree Balaji Dosa Centre near Fun Republic is a small dosa stall that serves 67 types of dosa preparations. Isn’t that mind-blowing? It really is. The stall is very close to Yashraj Studios and on one of those lazy evenings when we were super hungry, we came across this dosa-wala and needless to say, our experience was amazing. We recommend trying the Gini Dosa, Pizza Dosa and Paneer Chilly Dosa. Dos-lovers, this is where you should be for you next street-food binge.